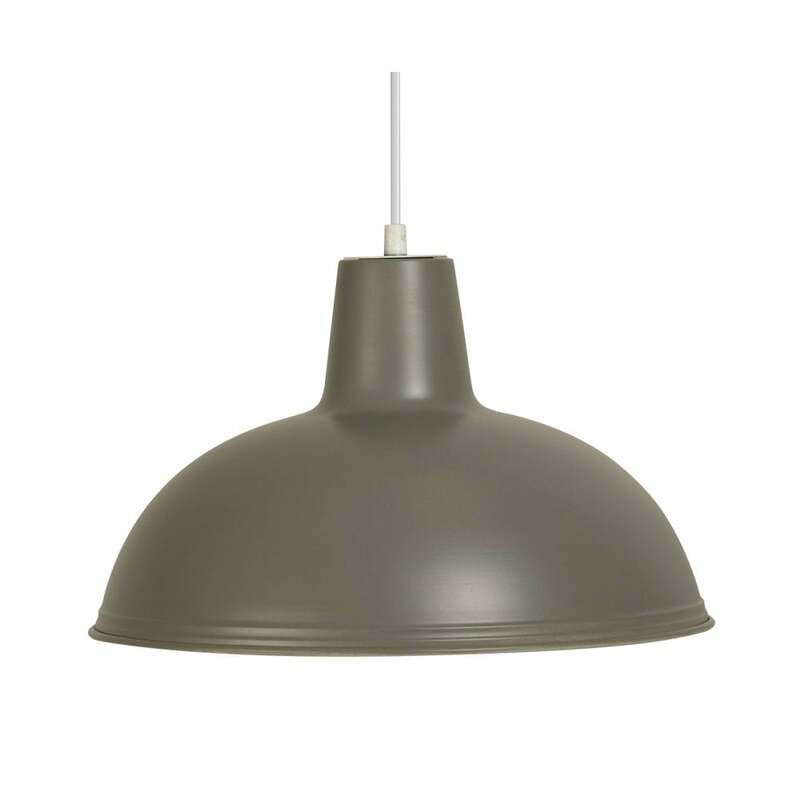 Oaks Lighting Kanya single light ceiling pendant features a circular ceiling plate with white cable holding a dome shaped, soft grey metal shade. This product code is 6177 SG. Also available in duck egg blue, sage green or cream finish which can be viewed on our website.